My biggest discovery as a quilter this year has been how much I love paper piecing. Maybe you can relate to this, but I was intimidated by paper piecing for so long. Once I tried it, though (via some classes by Carolyn Friedlander over at Creative Bug), I loved it. Completely un-scary, as it turns out. Currently I'm working on creating a complete paper-pieced alphabet. 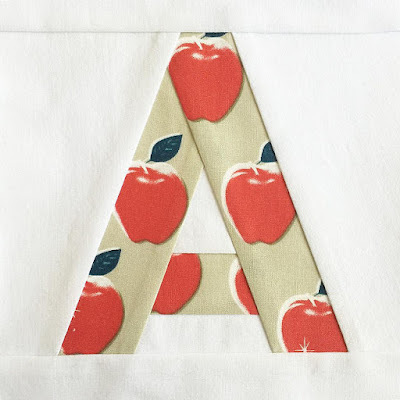 You can see each new letter over on my Instagram and you can actually snag a free pattern for letters A, B and C right here. Hi everyone! 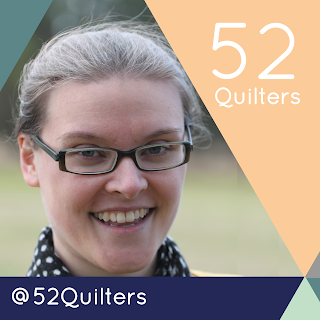 I'm Stephanie of Patch and Dot and I'm really excited to be part of 52 Quilters. I'm based in Toronto, Ontario. 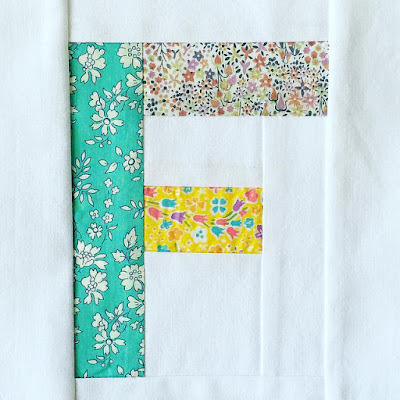 Quilting is something I've come to fairly recently but since giving it a try a few years ago it has quickly taken over the number one spot among my hobbies. I love the variety, and I love that, even though it's a craft that rewards precision, it's also weirdly forgiving (meaning, even the wonkiest of handmade blocks still has certain beauty). Most of all I love that, since learning to sew and building up a stash, I have the ability on a whim to sit down at my machine and make a gift for someone, and all kinds of functional objects for myself. This is an amazing kind of freedom for me. Here are a few highlights from the past year or so. 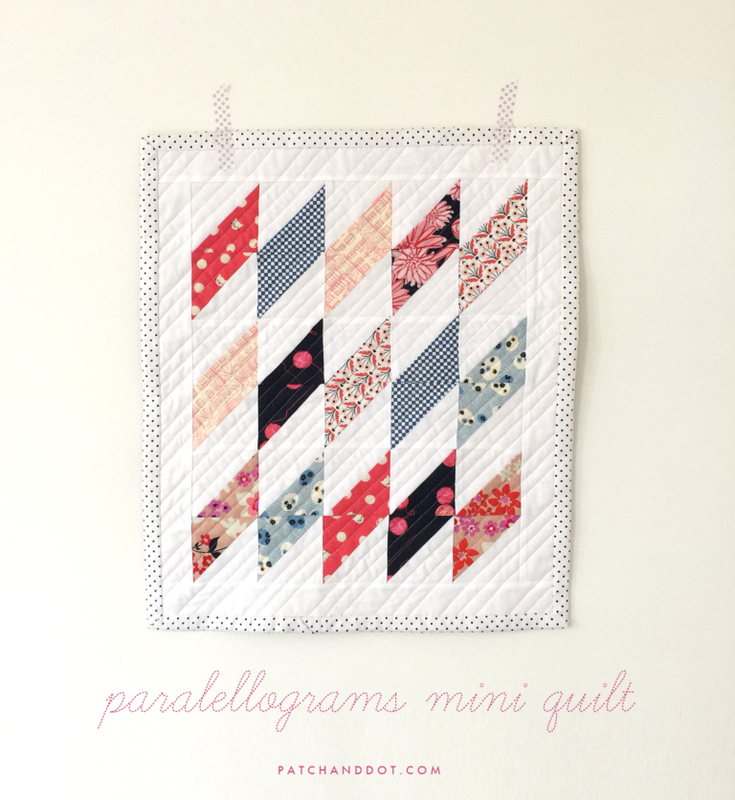 As life gets faster, my projects seem to get smaller, and I've enjoyed making quite a few minis (for wall hangings) and doll quilts (the best gifts for littles) this year. This one I made using an improv technique I learned from Crazy Mom Quilts. 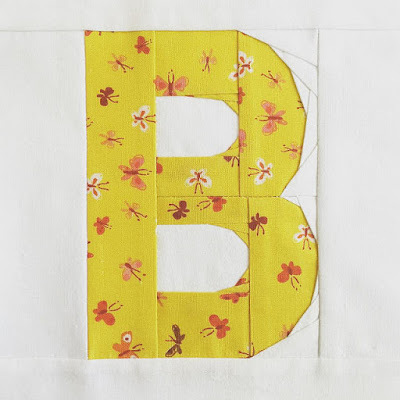 My main project right now is working on a paper-pieced alphabet. More on that later in the week but if you're curious I've posted a free pattern for the letters A, B, and C that you can download right here. How did I get started? Like many others, it all started with a baby quilt. I had no idea what I was doing but luckily I chose to make a simple hand tied 9-patch for one of my nephews. One last thing I love about quilting, and that's the community. Quilting has a history that's so much about community and communal work, and it's been amazing to see how this collective spirit translates in modern times into what seems to be one of the most active, generous group of makers on the Internet. It's been so fun to learn about my fellow quilters throughout the year and I'm so looking forward to sharing some of my work here and on Instagram. Hey everyone! I am Nikki from Baby Love Quilts and I am so excited to be apart of the @52quilters movement. I live in Moose Jaw, Saskatchewan Canada with my husband Devon, our two adorable kids, Alexander who is 2, Violet who is almost 6 months old and our two large dogs Lucy and Rogue. Right now I have the wonderful pleasure of being on Maternity Leave until June of next year, but when I am not on mat leave, I work part time at our local Credit Union called Conexus as a Financial Service Representative, aka a Bank Teller. 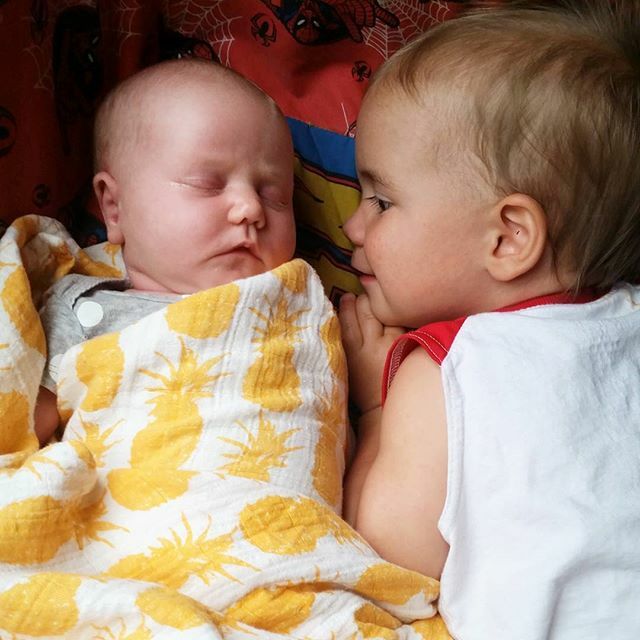 So needless to say I am taking full advantage of being able to grow my small business, Baby Love Quilts, all while taking care of my kids. 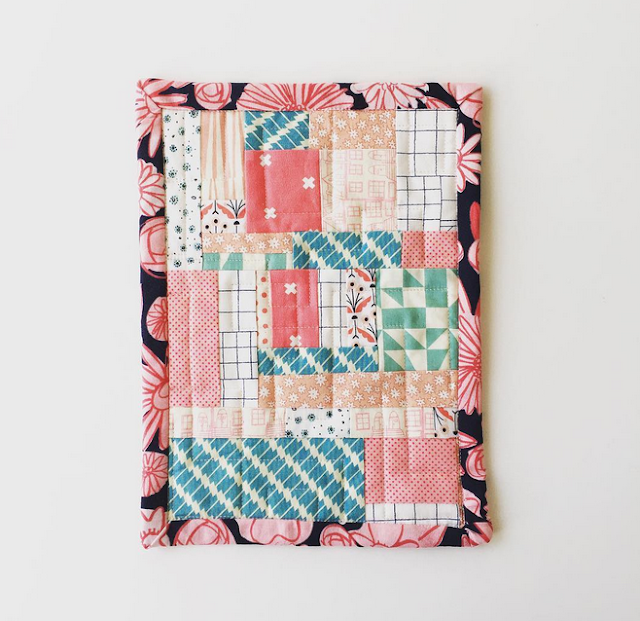 My love for sewing started as a little girl playing with my grandmas fabric scraps. My sisters and I would wrap them around Barbies to make clothes and would fight for the prettiest pieces. That then lead to me taking Home Economics in grade school, which really put the sewing bug in me. I have quilted for about 10 years, but have been sewing for almost 16. I used to sew clothes, and even took 2 years at a Fashion Design College, but after graduation I found myself working at our local quilt store The Quilt Patch and found my true calling, designing and creating quilts. I mean, its way easier getting a quilt to fit a bed, than getting a dress to fit a body! 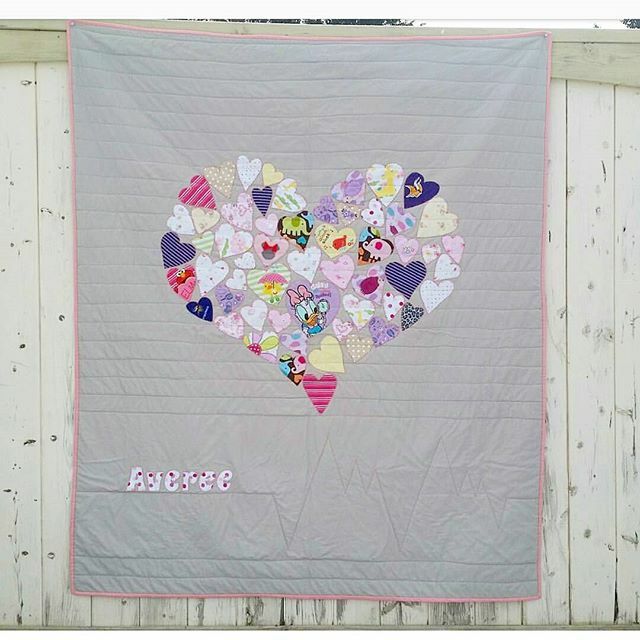 One of my commissioned "Carry Your Heart" quilts featured in my friends nursery. I remember making my first quilt, it was cut all by hand, I used a mixture of old jeans and cotton and I sewed it all on my grandmothers old table top Singer sewing machine. It was so heavy and I really didn't know what I was doing so I just sewed all the way around it using an old blanket as backing. So technically I made a really big blanket, but I was proud. I made this quilt using an old baby quilt in honor of the infant who passed away. - If I could have black and white stripped binding on every single one of my quilts, I totally would! - I love applique. This is something that I try to incorporate into all of my quilts. You can do SOOO much with a fun image or name. I find that it really personalizes the quilts. 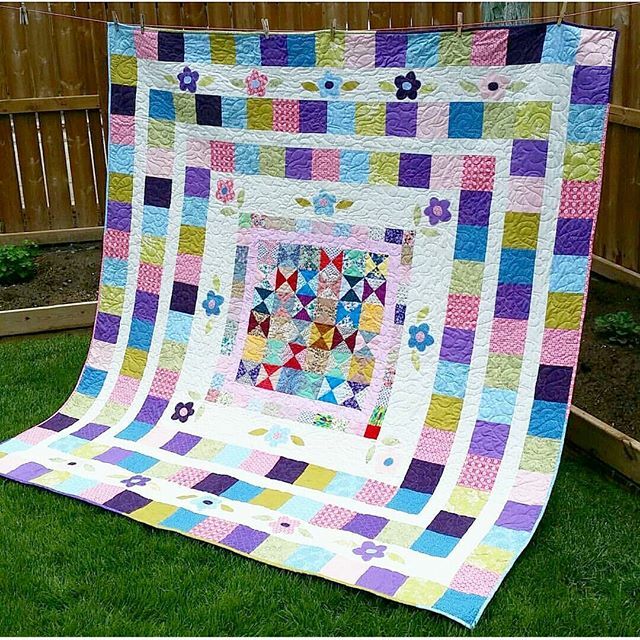 - I love a challenge, I have made a quilts using so many different things. Everything from a wedding dress, an old baby quilt, an old baby blanket, baby clothes, receiving blankets and clothes from a loved one who has passed away. - Charm packs are amazing things! old baby clothes to make the heart. If you look carefully you can see a heartbeat quilted into the quilt. 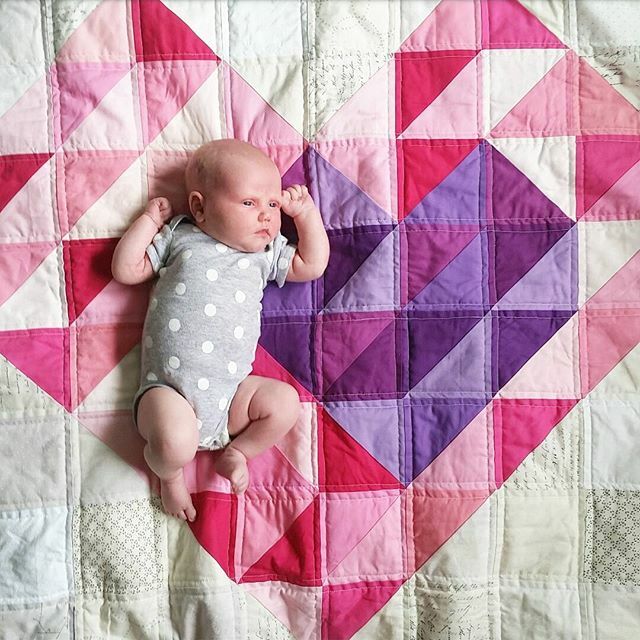 My "Carry Your Heart" quilt, also featuring baby Violet. Since I started sewing I never liked following patterns, which lead me to creating my own. Almost everything I make is my own design and I rarely make anything twice. 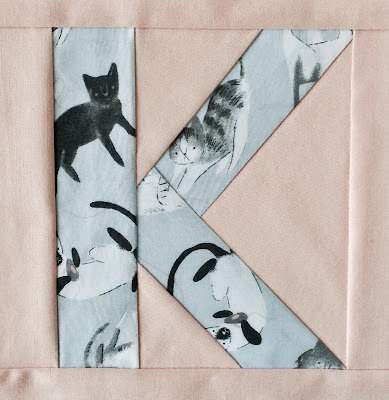 Probably one of my favorite things about designing quilts is you can make them so personal and thoughtful. 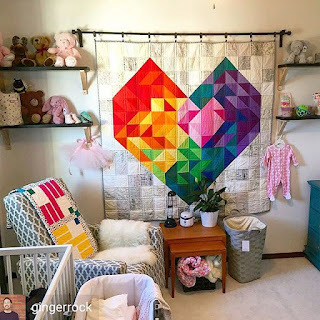 I love the process of coming up with something that either fits the nursery theme or something that is meaningful to the family. And there is nothing like putting the babies name on it, I just love that extra touch of love. That baby is going to have that quilt for a very long time and I love that I was a part of them growing up. 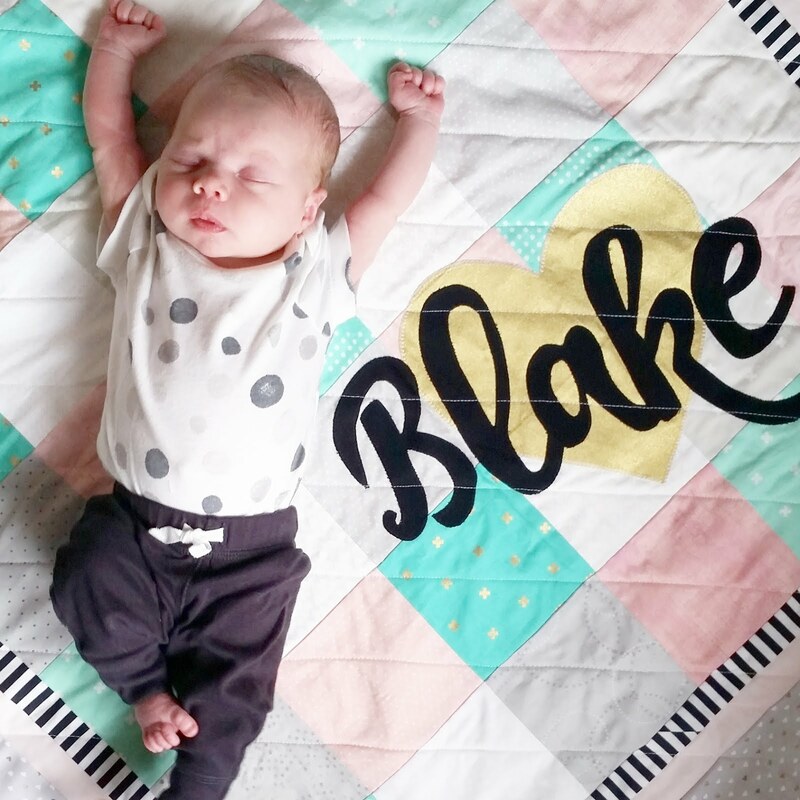 Little Blake soaking up the rays on her new quilt. A good example of my love of applique. 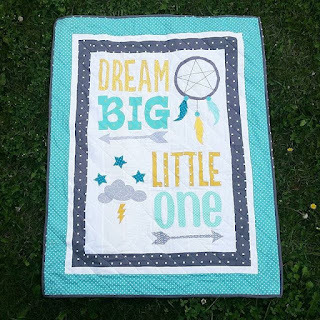 This was a quilt I made for one of my friends new baby. I started Baby Love Quilts almost 2 years ago in February 2015 after a lot of my friends and family suggested I start selling my quilts instead of just giving them away. I have made a lot of different things over the course of two years. 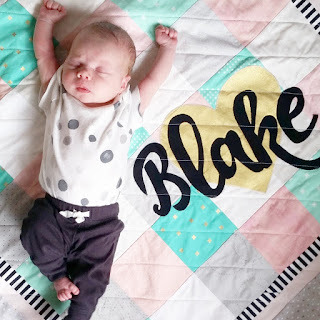 Everything from, quilts, blankets, bibs, scarves, doll diaper sets, teething blankets, swaddle blankets and even some wall hangings. 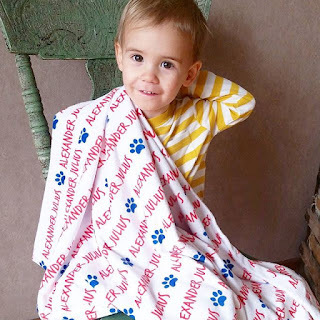 Right now I am really excited about the newest thing to come to Baby Love Quilts, and that is the Namesake Blankets. 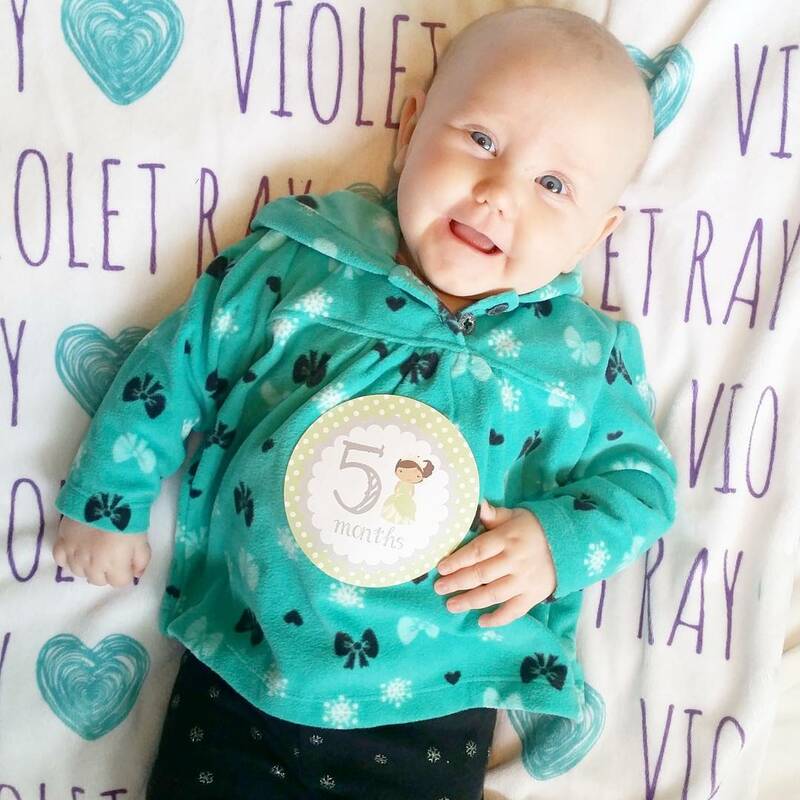 They feature your little ones name plus a fun image that makes it extra special. I have had people choose tractors because their grandpa is a farmer, a skull because their daddy rides a motorcycle and for my Xander, I chose a paw print because he loves Paw Patrol. 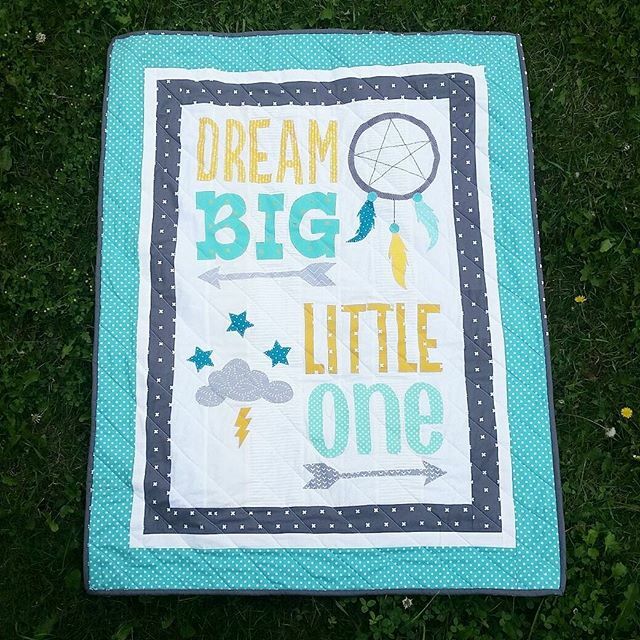 Since starting my small business I have made over 60 quilts, 100 blankets and way too many bibs to count. I am hoping one day that I will have grown big enough so I can stay home with my kids while they are still young, as many of you know, they don't stay small forever. Thank you so much for taking the time to read a little about me. I hope you enjoy my time here at @52quilters. Well it is probably not a surprise by now that I am a fan of paper piecing. I took my first class a few years ago and was hooked then and there. I have projects that I have bought the fabric for and started the cutting process but then they have been put back into a box for a later date, I have some that are partially finished and then there are those that were completed and are out for me to enjoy. This year Ben and I decided to take a technique of the month class. It ran from June to Dec, for a total of eight classes. Quiltworx has some patterns that only certified shops or certified instructors can sell. I talked to the instructors about maybe straying from the path and trying out a different pattern. I just loved the centers of some of the patterns with the curved leaf shapes and thought it had a lot of techniques that I had not done yet. They told me it wouldn't be a problem, so I decided on the Fire Island Hosta Queen pattern. I started by just looking at the batik section to find an inspiration for the main color theme of the quilt. I tend to lean toward cooler colors and wanted to do something different from what I had done in the past. I decided on an orange color palette to start. I spent over two hours in their classroom with stacks of bolts of fabrics. 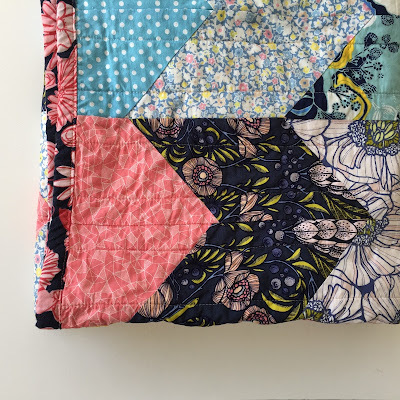 Having done quiltworx patterns before, I kind of knew how to look for the colors, where they were going to go and how to play off of other colors that were already in the quilt. I worked my way from the center out, first picking the leaves, how they would flow together and so on. I decided I wanted to end the quilt in a darker color, something that would almost frame the center. This is what I came up with. We got home and I started to do the cutting. 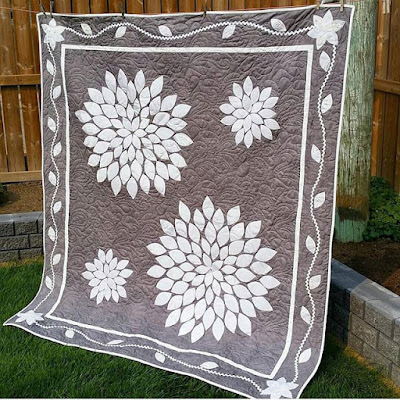 Quiltworx has such specific cutting instructions that it makes cutting a breeze. I made a little color chart, so I know which fabric went with which number, I precut my pieces and put them into their respective bags. After all of the precutting was done I went back in and cut out my template pieces for each bag and everything was ready to start being put together. We had our first class and I worked on 1/2 of the first leaf. There were only 4 leaf halves and it took me all day to do this. I tend to get in a zone and things go pretty quick but this was just not happening, turns out that each individual leaf had almost 40 pieces and that is why it was taking so long. I wasn't having it, so I got home and finished that leaf and started right onto the next side. Before the next class two or three weeks later, I worked and worked. There were some areas I wasn't quite sure on, so I skipped those and moved onto techniques I had done in the past. By the next class I had almost all of my pieces completed. I talked to the instructors about piecing things I wasn't sure about and they were a HUGE help with different ways they were taught to do it. This quilt was a little different, as it was constructed from the outside in, so we talked and I worked. When I got home I finished the center and started to put on the final borders. By the time the next class rolled around I came with my completed quilt. I was so excited to share it and everyone was shocked that I was done so fast. I just couldn't stop working on it. Lucky for me, I had another Quiltworx kit ready to start with some new techniques I had not done yet either, so I started on that one. I just so happened to finish this one up the day after Thanksgiving, leaving me with my Indian Summer quilt to complete. Our last class is Saturday and I am hoping to get most of it done then. This quilt was quilted by Susan Miner at http://www.trendythread.net, SHE IS AMAZING. She has worked on two of my quilts and I might have cried each time I got one back. It's so amazing what a long arm quilter can do to enhance a quilt but not take away from the design. Here are some pictures of the process and the final product. I am just getting the binding on, so it's not all the way completed but it has a bed to lay on when it is done. Now for the completed quilt, well I still need to sew the binding to the back. I had to put some pictures of the back just so you can see how amazing this quilting is.